They’re two, they’re four, they’re six and eight, shunting trucks and hauling freight — and now Thomas & Friends are rolling out a fun new playlist on Spotify! Packed with whimsical tracks that kids will love singing along to, the exclusive playlist, Thomas & Friends which launches today, features 27 songs from the magical Island of Sodor, the Mainland and beyond. Kids everywhere are invited to listen in and join their favorite useful engines from the beloved show, including Thomas, James, Gordon, Percy and Emily and all of their helpful and adventurous friends. Sir Topham Hatt joins the trusty steam team, too. All Aboard For Musical Adventures! 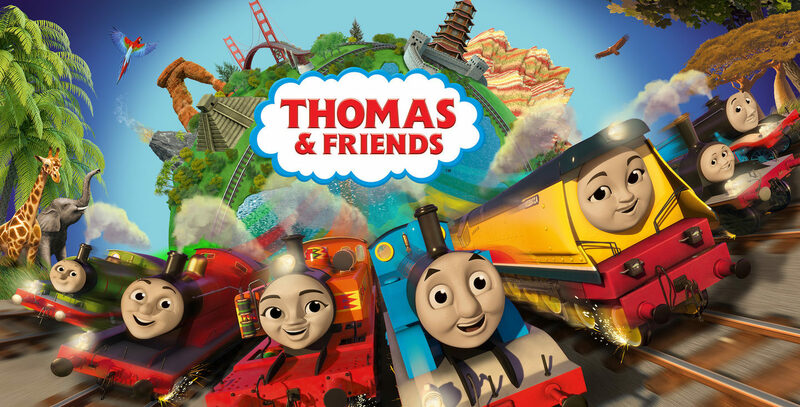 In addition to two popular tunes from the iconic “Thomas & Friends” TV show for preschoolers, several of the songs on the brand new, 80 minute-long playlist are from the upcoming “Thomas & Friends” movie, Big World! Big Adventures!™ The Movie, in which Thomas leaves Sodor to fulfil his dream of seeing the world. The movie will premiere on Nick Jr. this September. Much like the show and the movie, the playlist celebrates the importance of embracing our differences and working together to solve problems, showing kids that teamwork makes our dreams work.